The network of Parent Training and Information Centers (PTIs) support families and youth throughout the US. JAN offers free, confidential guidance on workplace accommodations and disability employment issues. JAN’s SOAR system lets users explore accommodation options for people with disabilities in work and educational settings. The SSA’s Ticket to Work program supports career development for Social Security disability beneficiaries who want to work. With a PASS Plan, an individual with a disability can set aside money to pay for items/services to achieve a specific work goal. This Quick Guides on Top Issues report from Education Commission of the States (ECS) addresses questions about ESSA. 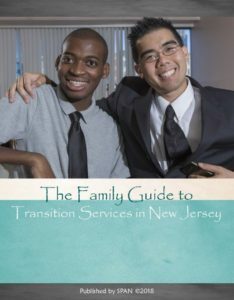 REACH for Transition has created this one cohesive document on the transition process, services, and supports to answer questions and make transition a successful period for families and youth/young adults with disabilities.